“Today is a game-changing step. Ending RHD is a critical, tangible target to close the gap in Indigenous life expectancy. Our Government is building on the work of the Coalition to Advance New Vaccines Against Group A Streptococcus (CANVAS) initiative, by providing $35 million over 3 years to fund the creation of a vaccine that will bring an end, once and for all, to RHD in Australia. The funding announced today by Indigenous Health Minister Ken Wyatt AM is being provided from the Medical Research Future Fund (MRFF). 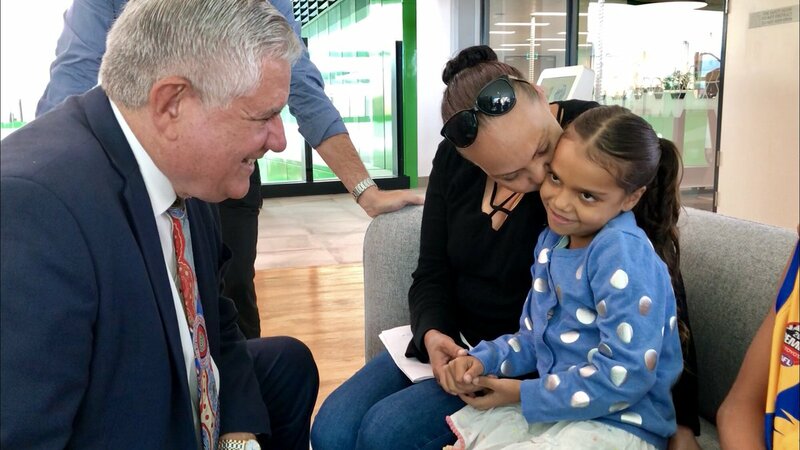 The eradication of rheumatic heart disease, a deadly and devastating illness largely affecting Indigenous communities, is taking a major step forward, with the Federal Government investing $35 million in the development of a vaccine to combat the disease. “It is wonderful that the Commonwealth Government research funds have been directed to address this leading cause of inequality for young Aboriginal and Torres Strait Islander people in Australia. It is a turning point in progress towards a Strep A vaccine. The Aboriginal Community Controlled Health sector welcomes this funding for the Strep A vaccine as one part of the work needed to end RHD. It does not distract us from the ultimate goal of addressing the social and environmental factors – such as inequality, overcrowding, inadequate housing infrastructure, insufficient hygiene infrastructure and limited access to appropriate health services – which drive the high rates of RHD in Australia. 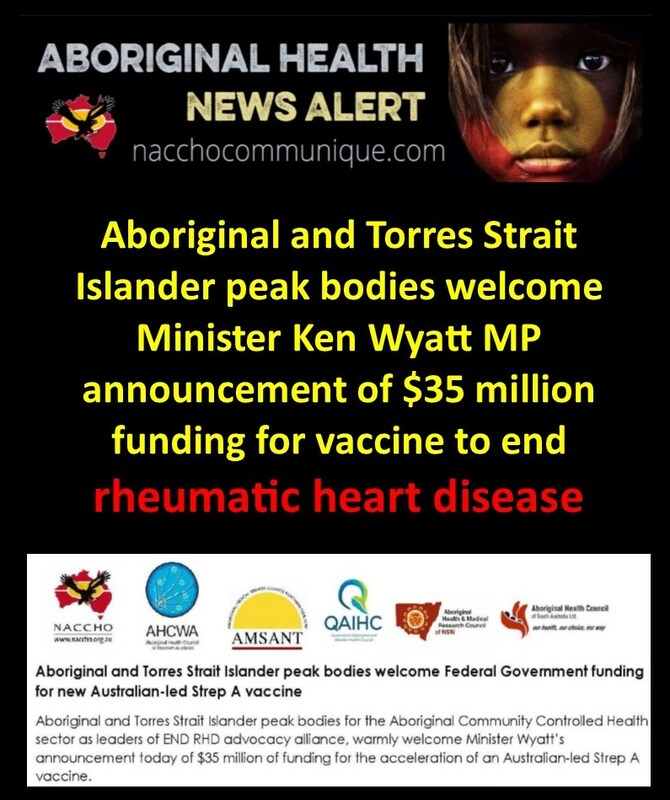 Aboriginal and Torres Strait Islander peak bodies for the Aboriginal Community Controlled Health sector as leaders of END RHD advocacy alliance, warmly welcome Minister Wyatt’s announcement today of $35 million of funding for the acceleration of an Australian-led Strep A vaccine. The National Aboriginal Community Controlled Health Organisation (NACCHO), Aboriginal Medical Services Alliance Northern Territory (AMSANT), Aboriginal Health Council of South Australia (AHCSA), Queensland Aboriginal and Islander Health Council (QAIHC), Aboriginal Health Medical Research Council of New South Wales (AH&MRC), Aboriginal Health Council of Western Australia (AHCWA) are Founding Members of END RHD, leading a campaign calling for an end to rheumatic heart disease in Australia. 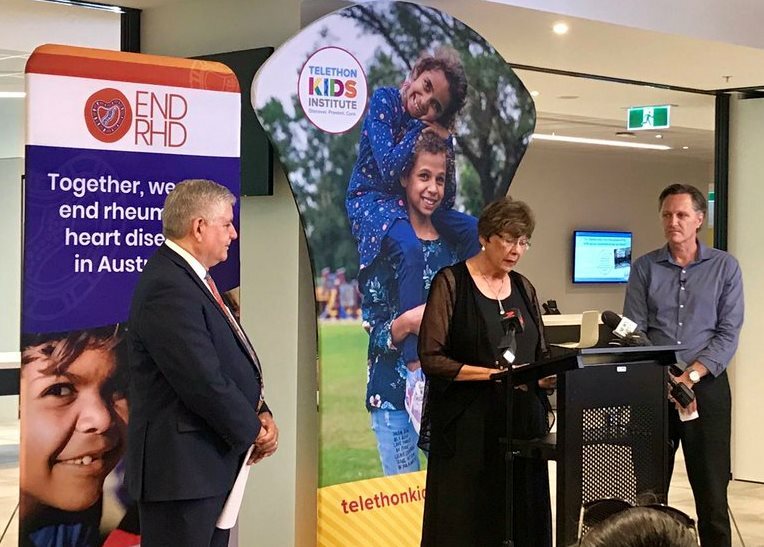 We congratulate Telethon Kids Institute, one of our fellow END RHD founding members, on being awarded this vital funding, and look forward to further engagement with researchers, communities, and other stakeholders as the project progresses. 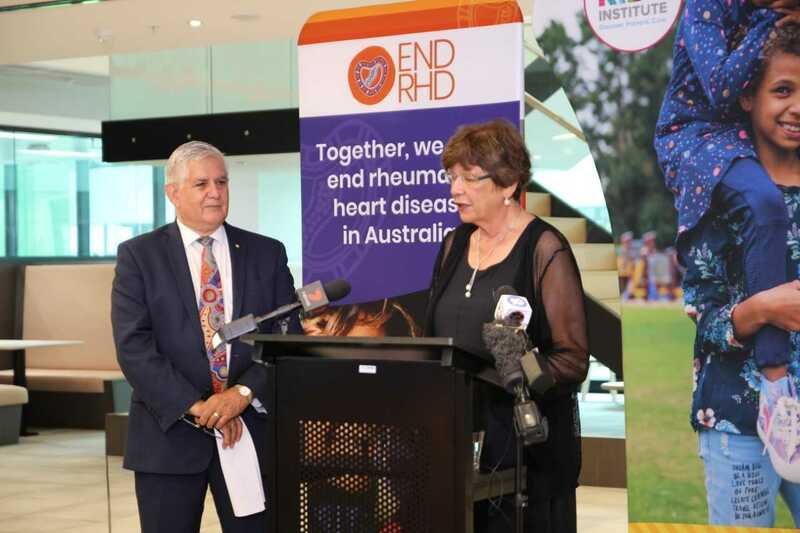 END RHD has been calling for investment in strategic research and technology – including the development of a vaccine – as part of a range of funding priorities needed to eliminate rheumatic heart disease (RHD) in Australia. This funding is an important step towards that goal. A vaccine has an important role to play in reducing the rates of rheumatic heart disease in years to come. We celebrate this announcement and recognise it is one important part of the comprehensive action needed to end RHD in Australia, and truly close the gap in health outcomes for Aboriginal and Torres Strait Islander Australians. It will allow manufacture and testing of a number of vaccines currently being developed, and fast-tracking and funding of clinical trials in Australia. The aim is to accelerate availability of a vaccine for use in Australia and internationally. “Today is a game-changing step,” said Minister Wyatt. “Ending RHD is a critical, tangible target to close the gap in Indigenous life expectancy. 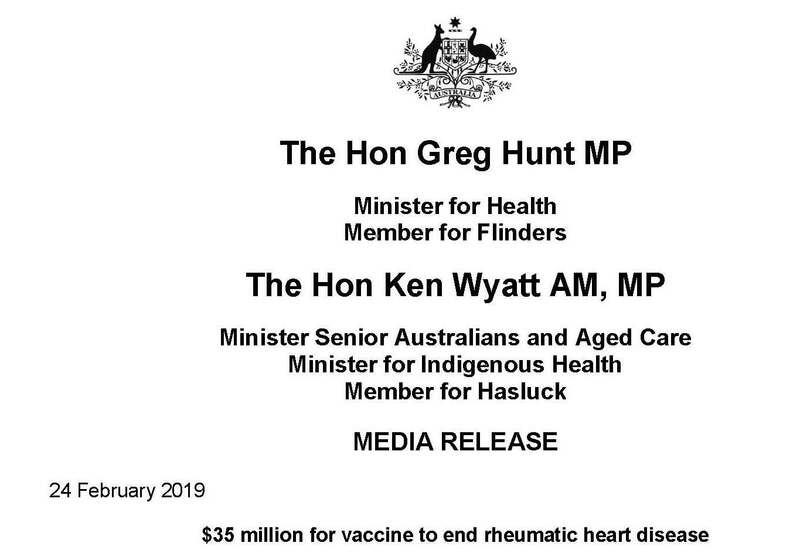 “Our Government is building on the work of the Coalition to Advance New Vaccines Against Group A Streptococcus (CANVAS) initiative, by providing $35 million over 3 years to fund the creation of a vaccine that will bring an end, once and for all, to RHD in Australia. Rheumatic Heart Disease (RHD) is a complication of bacterial Streptococcus A infections of the throat and skin. Strep A and RHD are major causes of death around the world, with Strep A killing more than 500,000 people each year. Australia has one of the highest incidences of rheumatic heart disease in the world. It is the leading cause of cardiovascular inequality between Indigenous and non-Indigenous Australians and is most commonly seen in adolescents and young adults. Alarmingly, Aboriginal and Torres Strait Islander people are 64 times more likely than non Indigenous people to develop rheumatic heart disease, and nearly 20 times as likely to die from it. Every year in Australia, nearly 250 children are diagnosed with acute rheumatic fever at an average age of 10 years. 50 – 150 people, mainly indigenous children or adolescents, die from RHD every year. “Rheumatic heart disease kills young people and devastates families. This funding will save countless lives in Australia and beyond,” said Health Minister Greg Hunt. “This initiative will also benefit Australia by ensuring it continues to be the global leader in Strep A and RHD research and public health implementation, and can build on its worldclass clinical trial and medical industry. 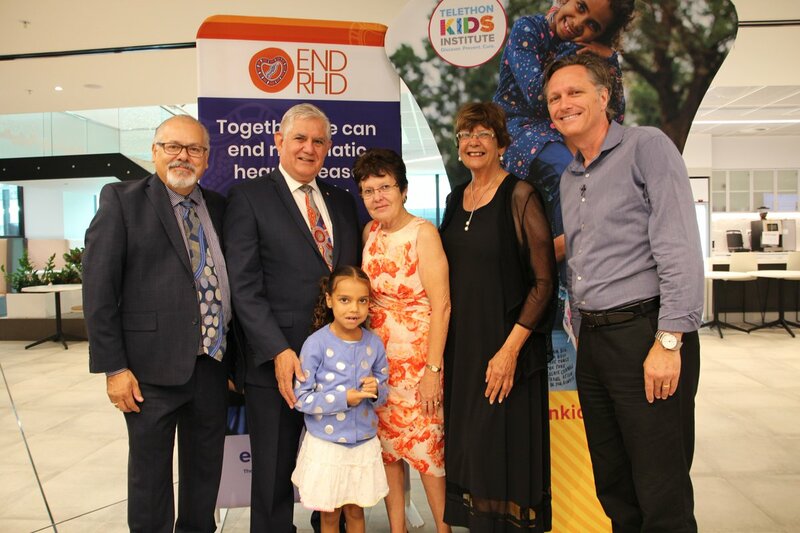 The End RHD vaccine initiative will be directed by Prof Jonathan Carapetis AM (Director of the Telethon Kids Institute in Perth) and overseen by a Scientific Advisory Board including leading Australian and International experts. The project will also be informed by an Indigenous Advisory Committee who will ensure that the voices of our First Nations people are heard and acknowledged, and that all components of the work are culturally safe and appropriate. This latest initiative builds on funding already provided under our Government’s Rheumatic Fever Strategy. This includes $12.8 million to continue support for the existing state-based register and control programs in the Northern Territory, Western Australia, Queensland and South Australia; and new funding of $6 million for focused prevention activities in high-risk communities to prevent the initial incidence of acute rheumatic fever. 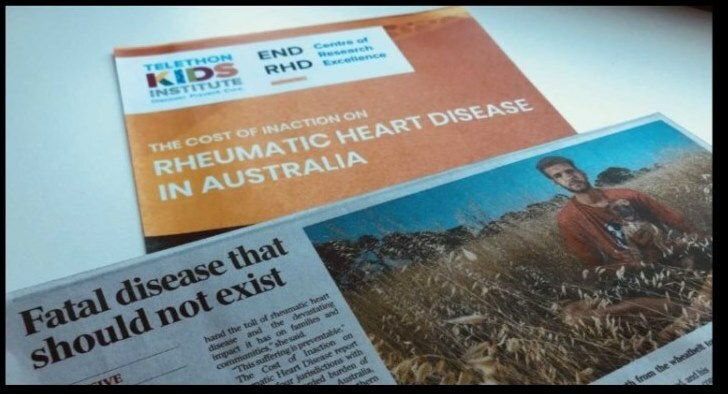 Our Government has also provided $165,000 to the END RHD Alliance to complete development of a roadmap to eliminate the disease in Australia. “The death and suffering caused by Strep A and RHD is preventable,” said Minister Hunt. “RHD can be stopped and we want to end it on our watch.